We escaped! 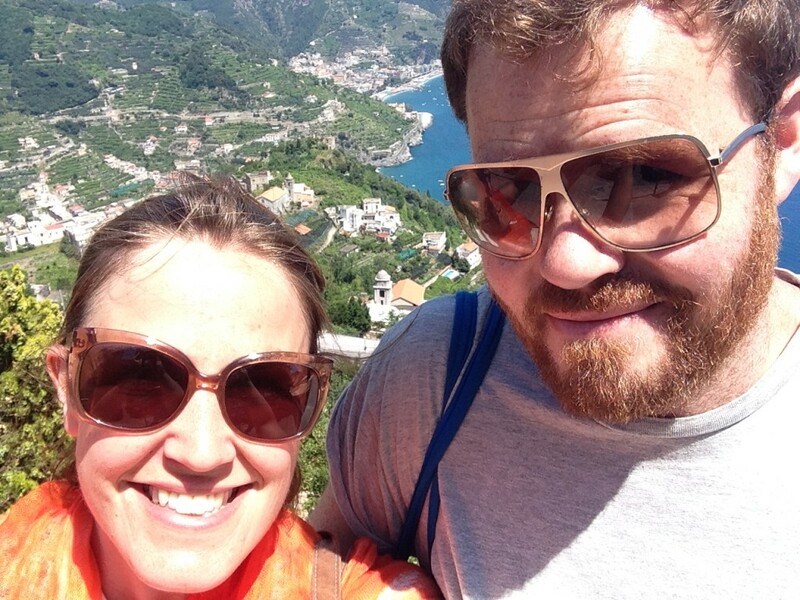 After spending most of the last 6 weeks running around, vaguely crazed, sorting work projects, Matt and I hopped over to Italy for a week. The reason was my birthday (am now 35); the official activity was walking the Amalfi coastline (which we did and I have a purple toe to prove it). But really, it was all about the food. And the growing of the food. I’ve been to Italy a number of times and never really understood the fuss about Cucina Italia. I now know where I’ve been going wrong: I have never before stayed on a farm. If you want real cooking, get a country person to do it. I say a farm: we actually stayed in the agriturismo Luna D’Agerola in the little village of San Lazzaro, which is kind of like a souped-up B&B, except that rules dictate that they have to grow their own produce. It turns out that in Amalfi, everyone grows their own produce. Despite clinging to vertiginous cliff sides, each house is surrounded by rows upon rows of tomato, corn, courgette, beans, vines and, of course, lemons. With produce this generous, good food is guaranteed. 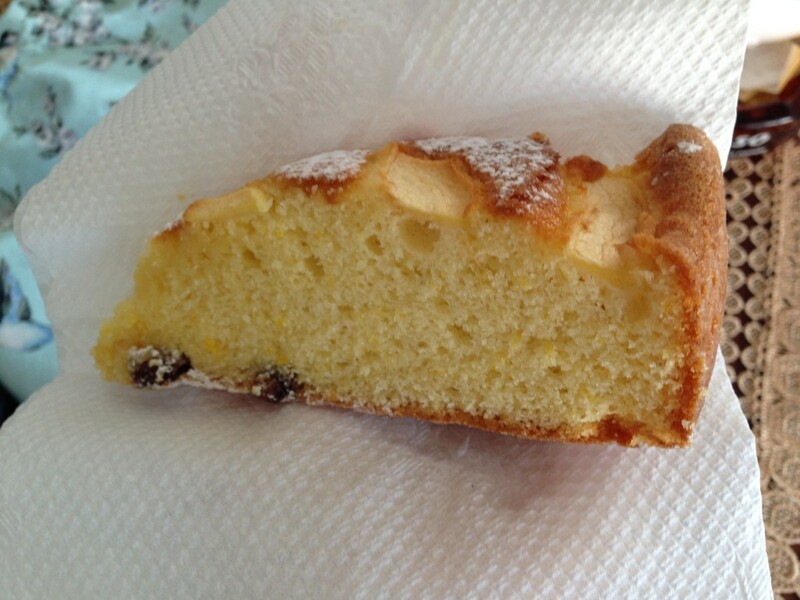 We start the day with breakfast cake. 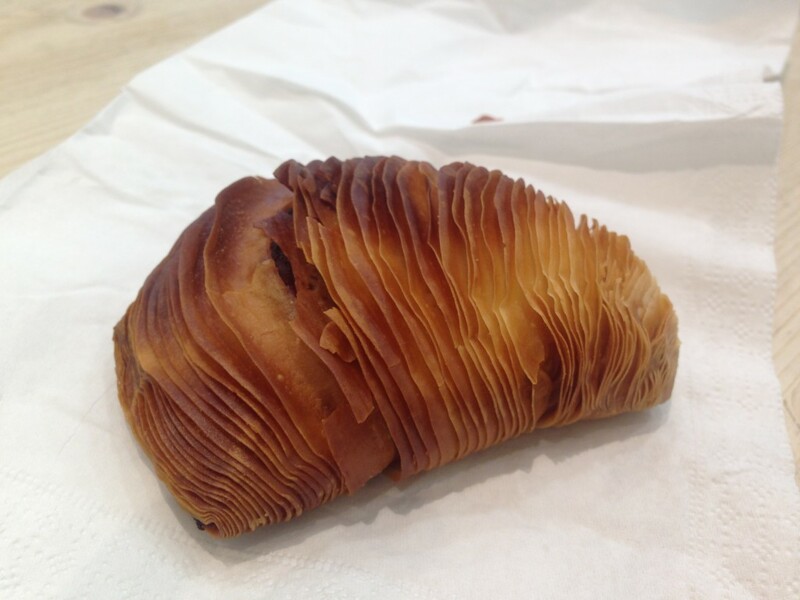 Each morning, Giovanna offered up an enormous platter of goodness, filled with the lightest of sponges or, if we were lucky, little palm-sized pastries filled with custard or pear. 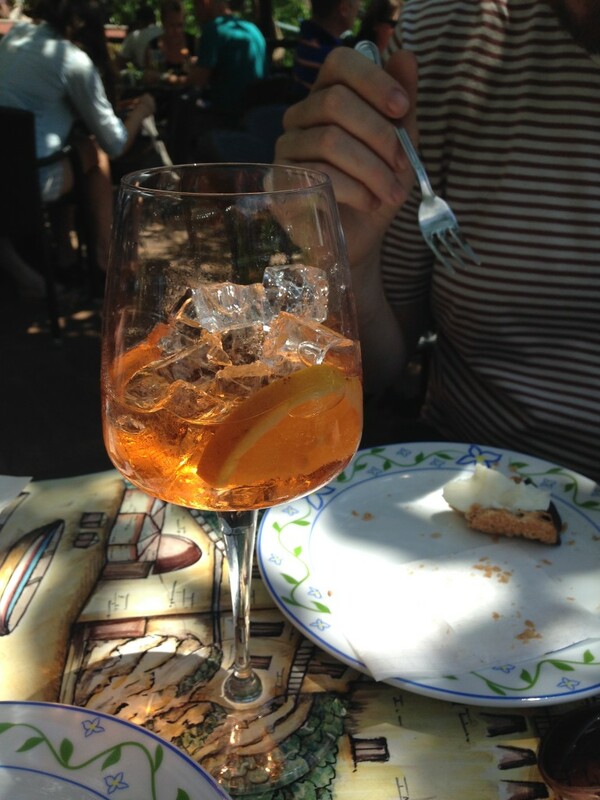 After walking up a mountain in the heat, a little refreshment is needed. 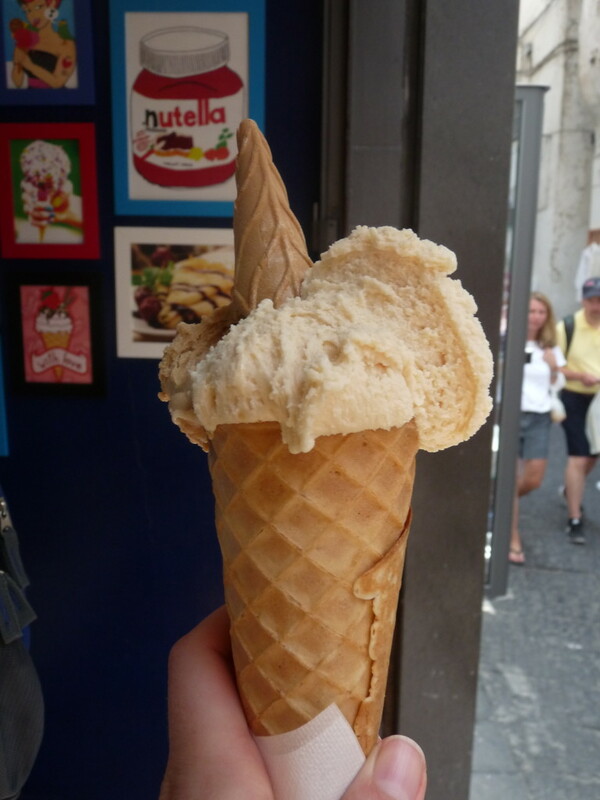 It’s Italy, so this means gelato. 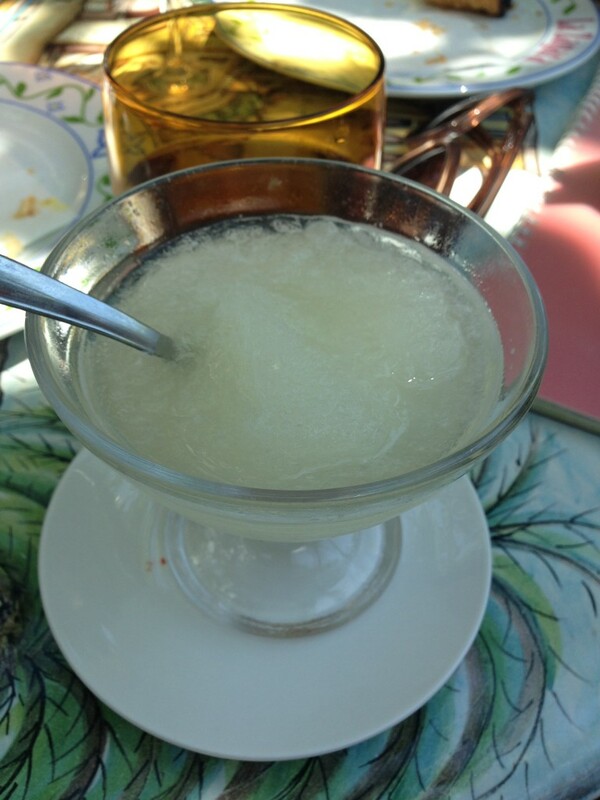 Another option was granita, which was on offer in pretty much every bar and cafe. 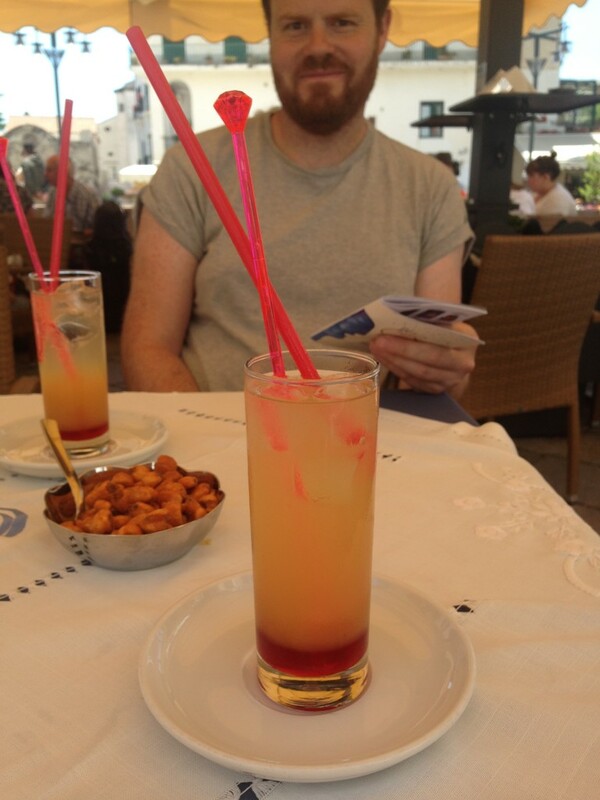 This one was made with those gorgeous Amalfi lemons but there was also coffee, melon, peach, apricot, strawberry, orange… You could even get it in your cocktail if you so chose. Next door to Giovanna and Guiseppe’s agriturismo is one run by Pasquale, Guiseppe’s brother. Obviously they too produce enormous quantities of their own food. 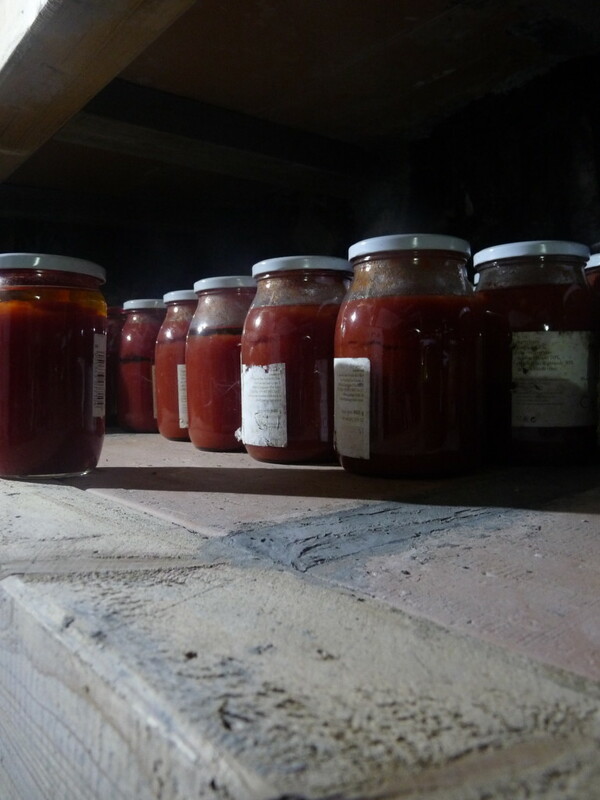 In the cellar, home-made salami and pancetta hang amongst jars of passata, laid down year on year to see the family over the winter months. Four generations of sons have worked on the vines. 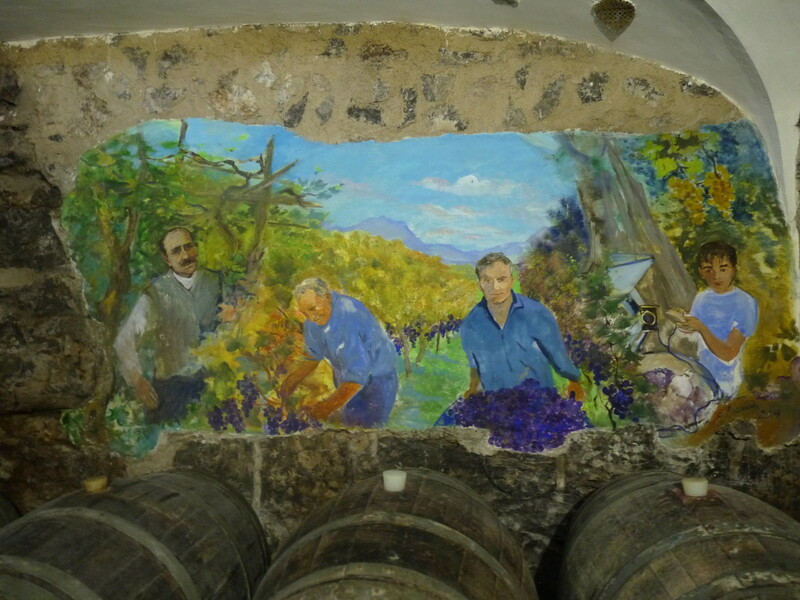 Their mural adorns the cellar where the wines are stored. There, we were treated to a meal that will forever be known as Feast Night. After nibbling that salami there came a platter of antipasti, all home-made or home-grown, with the sweetest whispers of ham and garlicky grilled vegetables. 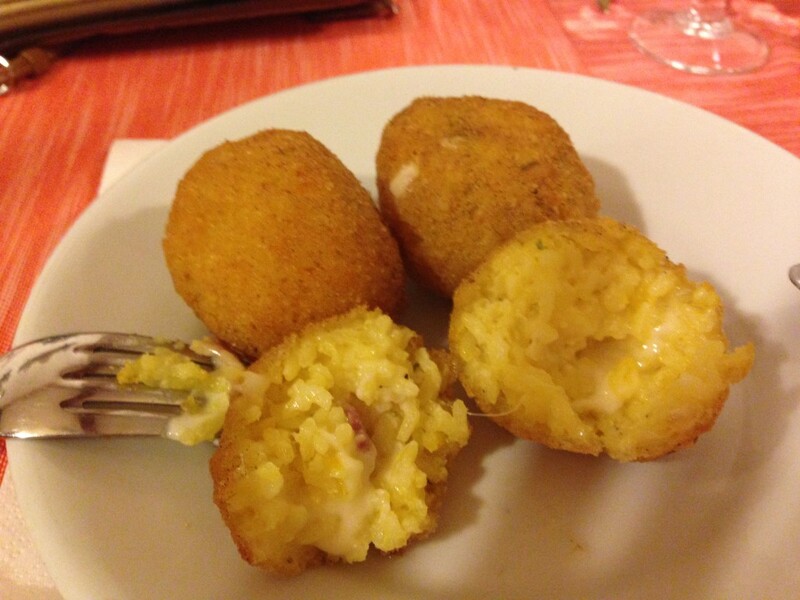 Plus pizza fritta, little rounds of dough deep-fried then topped with passata and parmesan. 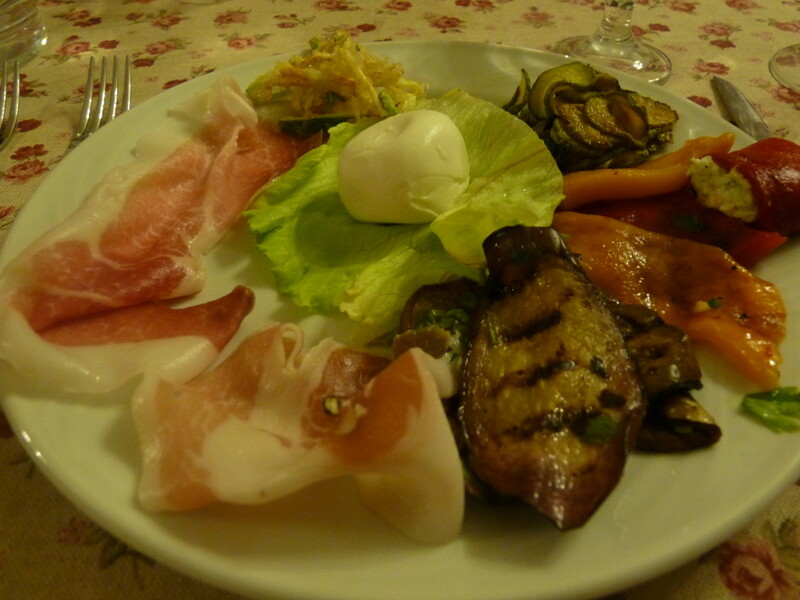 Antipasti spread at the agriturismo. With the exception of the mozzarella (which will have come from just down the road), everything here is homegrown or homemade. Next, plates of grilled chicken and pork alongside mounds of mash stuffed with mozzarella. 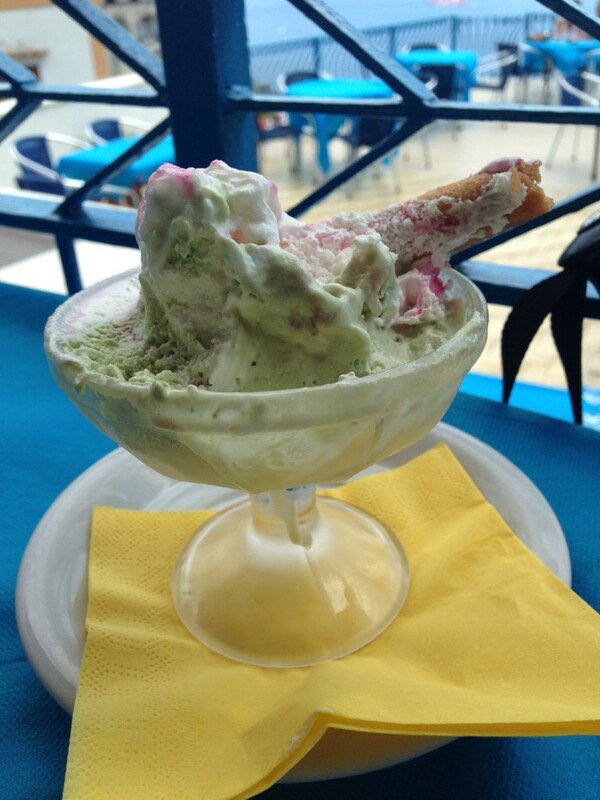 Watermelon to refresh the palate, then the thickest, richest tiramisu one could ask for. It was washed down with bottles of their own white and red wine (the red served chilled) then shots of limoncello and blackberry liquor. 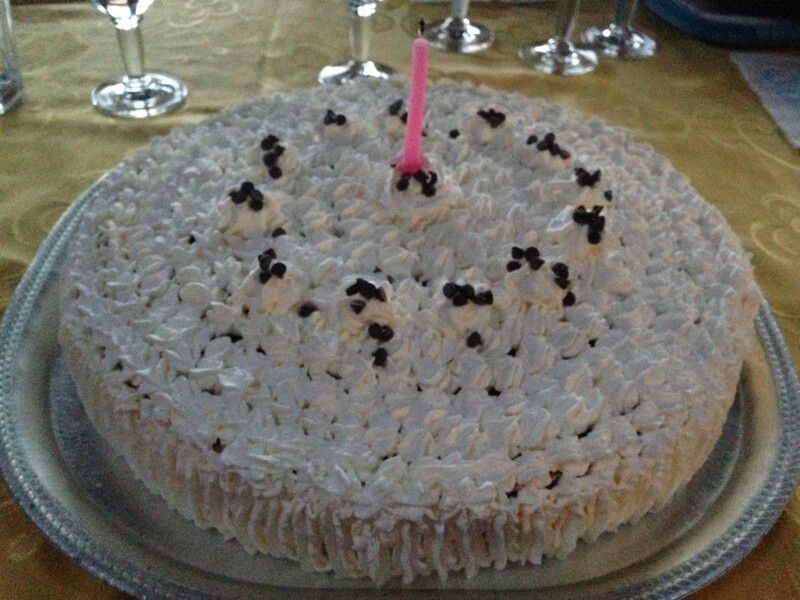 A birthday can not pass without a cake. 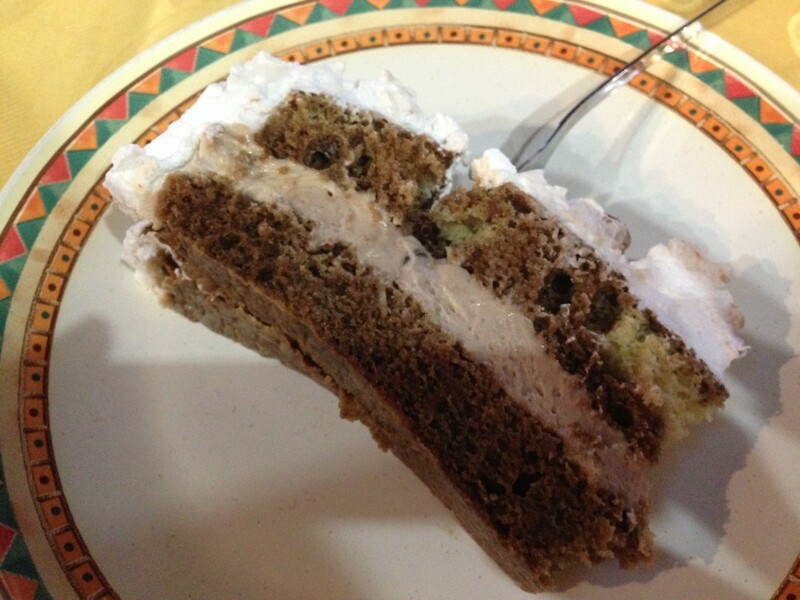 This tiramisu gateau will do *I suppose*. Fa la la! It’s my birthday! Cake to feed 20. The sponge is soaked in coffee, filled with coffee cream and topped with more cream. 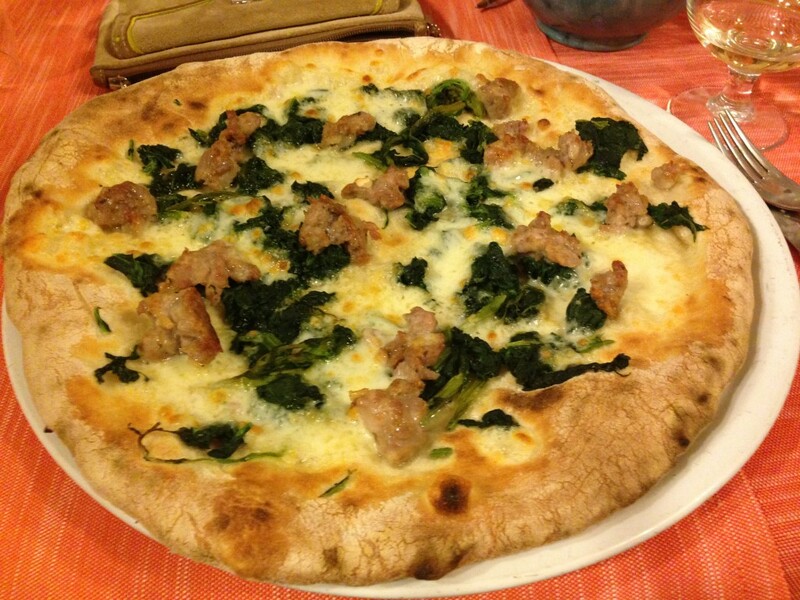 All this amazing food is possible because of the age-old agricultural habits in this part of Campagnia. More about that in the next post. 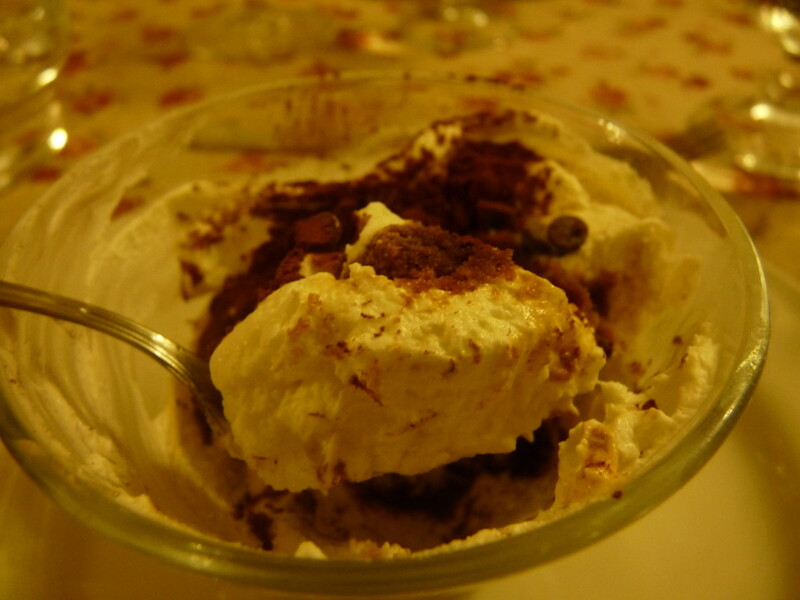 This entry was posted in Uncategorized and tagged Agricturismo, amalfi, campagnia, lemons, luna d'agerola, tiramisu. Bookmark the permalink. Oh dear lord. You win.